A brand new international standard hockey field, located in Kingswood, will officially open in a matter of weeks after the State Government kicked in $1.2 million to fund various field upgrades in the western Sydney area. 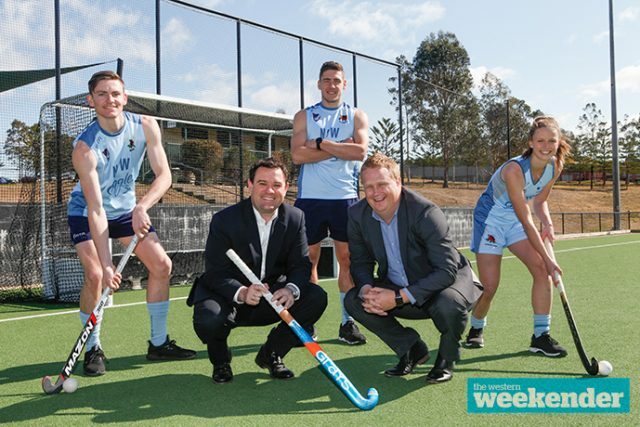 On Tuesday afternoon, Penrith MP and Minister for Sport Stuart Ayres joined Hockey NSW CEO David Thompson, to announce funding support for upgrades to the Western Sydney Hockey Centre in Kingswood as well as the Macarthur Regional Hockey Complex in Narellan. “Western Sydney boasts a strong sporting landscape and by investing in the right kind of facilities, we can boost participation and offer a vision for players to the elite pathway,” Mr Ayres said. Nepean Hockey Association President, Kieran Knowles, said the club had been pushing for field upgrades at the Western Sydney University site for many years. “This is exciting, it has been a long time in the making,” he told the Weekender. Knowles said the upgrade would have numerous benefits. 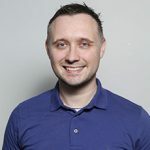 “We are now upgrading the field to a full international water-based surface, which is the same surface they play on at the Olympic Games,” he said. When construction is complete in the coming weeks, Nepean Hockey Association will be next in line to hold some major competitions of their own. “The hope is to hold State and National Championships at this venue in the future,” Knowles said. Water-based fields enable a faster, more skilful game, meaning the overall standard of hockey improves. “This is a fantastic day for the thousands of hockey participants in western Sydney,” Hockey NSW CEO, David Thompson said.